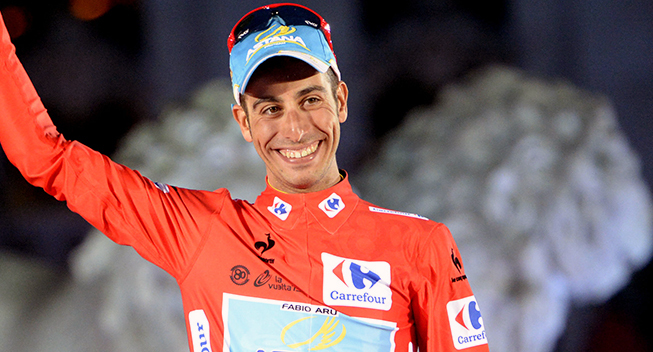 Fabio Aru may have never ridden the Tour de France before, but the 25 year old Italian will still be mentioned as a winner candidate when he starts the race next year after the Vuelta winner saw a tough course announced for 2016. “The route looks good. It’s tough. There are two time trials but they’re pretty tough,” Aru told Gazzetta dello Sport. Aru has won five Grand Tour stages and will look to join the club of winners in all three Grand Tours next year.